Our team consists of a mix of business entrepreneurs, private equity professionals, and technology marketing veterans. Each of us have helped build and owned significant equity stakes in successful businesses and led the execution of significant transactions. We are innovative business builders and dealmakers who are passionate in unlocking value, uncovering untapped opportunities, building a powerful transaction story, and securing strategic deals for our clients. Check out Atrico’s services and contact us to see what we can do for your technology company. Ivan is a co-founder of Atrico and an established authority on issues related to high–growth technology businesses and the marketing of emerging technologies. Ivan’s career started in software product development and moved into business executive roles. He has extensive experience in running and building technology businesses, including helping to build a leading international mining technology company. Ivan brings with him over 20 years of experience in technology and business management and has advised a large number of technology investors and businesses at the board level. Ivan’s previous operational business background and subsequent transactional focus has proved invaluable for clients that seek advice on strategic deals. 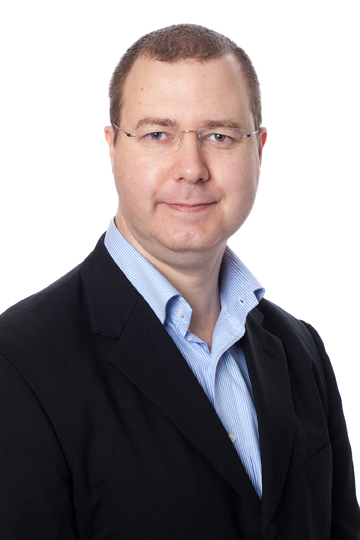 Ivan advises in all aspects of business strategy & growth and M&A transactions. Ivan holds a Bachelor of Business and a Diploma in Computing. Kheong is a co-founder of Atrico and has over 17 years of multi-disciplinary experience in strategy and corporate advisory. His core skills are in transaction packaging and execution, corporate finance, and technology marketing. He has led assignments across a wide range of business issues including business growth strategy, mergers and acquisitions, capital raising, technology marketing, and IP licensing. 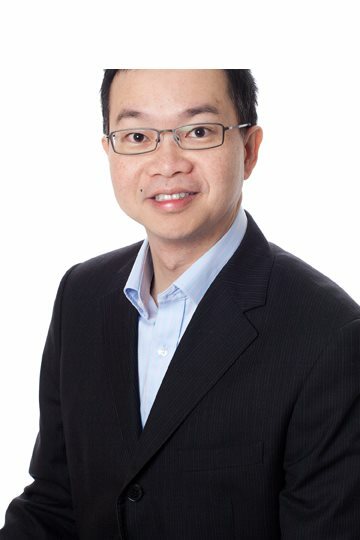 Kheong has a Graduate Diploma in Applied Finance and Investment from Finsia, where he was awarded the ABN Amro Morgans Prize. He graduated top of the School of Electrical and Computer Engineering at Curtin University of Technology. The first company he co-founded was a technology company in Singapore while he was pursuing his Ph.D. He subsequently did his post-doctoral research on IP protection systems at a centre co-founded by Sun Microsystems. Jason has over 15 years experience in the investment industry including trade sales, private and public securities, licensing, and business development. Jason joined Atrico in 2000 and has since worked on over 30 corporate advisory transactions and a range of strategic consulting engagements with large organisations. Jason has also been responsible for maintaining a number of strategic growth advisory relationships with small to medium technology companies. Jason’s interests and strengths lie in the strategic growth of technology businesses in the mining, oil and gas, and ICT sectors. Jason holds a Bachelor of Science and PhD from UWA. He also went on to complete a Post Graduate Diploma with the Securities Institute of Australia (now FinSIA) and further studies in finance and economics. John has over 20 years‘ experience across a range of mining industry software and related technology. John’s recent focus was in product and portfolio strategy, marketing and sales, and he has covered all aspects of the software business including analysis, development, and implementation project management. John co-founded Karjeni, a specialist mining software company based in Perth, in 1999 which was acquired by Mincom in 2007. He then played an integral role in Mincom‘s mining product strategy prior to Mincom’s acquisition by ABB in 2011. After the acquisition, as VP Global Mining Solutions, John led the product management team and strategy for the mining portfolio of ABB’s enterprise software subsidiary, Ventyx. Prior to founding Karjeni, John worked directly in the mining industry advising on and implementing technical software solutions. John brings a wealth of operational experience in the software industry at a range of scales, from entrepreneurial micro-enterprise through to large global software corporations. He has been through two acquisitions on the sell side and worked on a number of acquisition opportunities on the buy side. John holds a Bachelor of Science in Geophysics from University of Melbourne. Jim has over 25 years’ experience in growing computer software development organisations at IBM and Fundi Software. He has held various senior positions ranging from Business Development Manager and General Manager to Commercial Director and CFO. His responsibilities have included marketing and sales and financial and day-to-day management. Having worked extensively in the IT industry abroad and in Australia, he has deep connections in the software industry in the USA, Eastern and Western Europe, and Australia. Jim started his career at IBM and rapidly progressed through the ranks from System Engineer to Project Manager and culminated as the Head of IBM’s Australian Programming Centre. He built the Centre’s development team from scratch to 128 people. Being also responsible for business development, he secured large projects in USA, Canada, UK, and Germany. 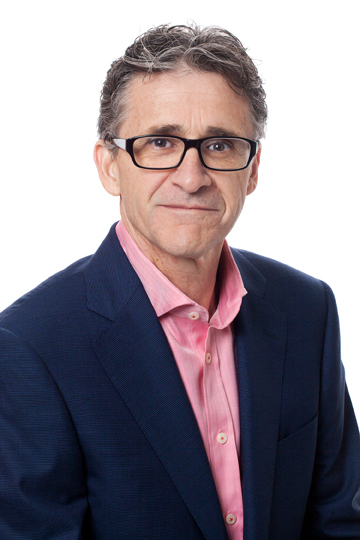 Jim has been involved in several successful M&As including the MBO of a software development company out of Telstra as both an investor and advisor. His other skills include due diligence, market analysis, financial modeling, contract analysis, IP strategy, R&D tax applications and audits, contingency planning, and asset identification. John is a Chartered Accountant with over 25 years of experience in both the professional and commercial arenas. In his professional career John has been an insolvency partner in a number of national and international Chartered Accounting firms, specialising in corporate reconstructions and general business and strategic consulting across a diverse range of industries. In the commercial field, John has been involved as a management consultant and corporate troubleshooter to a wide range of both public and private companies and as an owner and developer of private companies in industries ranging from property development and construction, technology development, engineering services, financial services, hotel and leisure, agriculture, aquaculture, education, manufacturing, and industrial chemical applications. From his involvement with more than a few hundred diverse companies and a multitude of deals in Australia and internationally, John has encountered and solved most types of critical business problems. John’s current areas of involvement include consulting and principal-based deals in strategic planning, go-to-market planning, general management, and deal execution and negotiation. Yolande has been involved in providing financial services for over 10 years, advising and consulting to many industry sectors. Her background and training was established through auditing with Arthur Andersen, both in Australia and internationally. Yolande is a member of the Institute of Chartered Accountants in Australia. She has a Bachelor of Commerce from UWA. Our good working relationship with the key people at Atrico was particularly memorable. We worked together effortlessly, confident that Atrico had our best interests in mind and had the capability and experience to deliver the results. We look forward to a continuing relationship with Atrico and would gladly recommend Atrico’s services to other organisations. Atrico’s mining tech industry relationships and deal marketing prowess helped us get quick access to parties with excellent strategic fit. The team’s deal proficiency and negotiation skills meant we could conclude the transaction efficiently and speedily. We have readily recommended Atrico to a number of tech companies. Leverage an introduction to Tibco into a partnership whereby we can build our business model on a global platform. We found working with Atrico to be useful and insightful. Their diligence and professionalism was evident throughout the engagement. Atrico was engaged to review INX Software strategy and advise on growth opportunities. We are already seeing a re-organised and revitalised team adopting Lean methods to improve customer focus, increase productivity and profitability, and drive towards the targeted growth. We recommend Atrico for their hands-on experience and strategic vision.